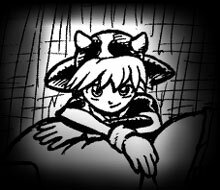 cowsuitgirl - the official home of vaca! My name is Vaca Borden. Some weird stuff has been going on since I found this strange little cow suit. I'm just glad I've got my friends there when I need them. And I'm really extra-glad that I've got this cow suit. They don't understand why I wear it. 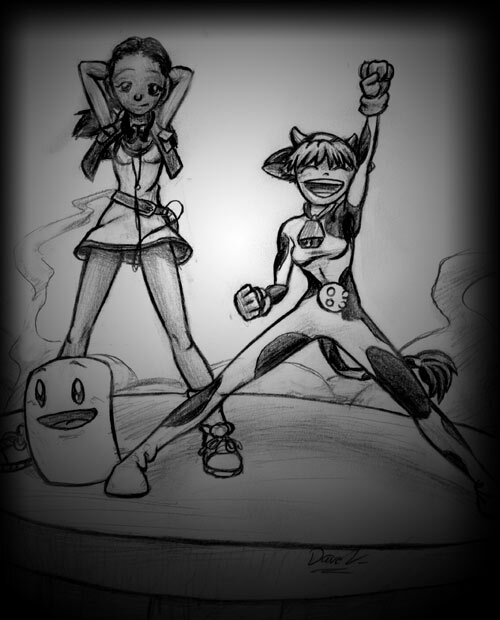 This was the original design for the front page of cowsuitgirl.com, intended as a placeholder and as a sort of teaser after the domain was registered, but before the actual comic could be put online. On July 30, 2005, it was replaced by a big pretty picture...just for the heck of it. Copyright (C) 2004-2005 David Vincenty. All Rights Reserved.